Aspiring actors in Sedgley are being urged to tread the boards for an exciting new production of the classic musical, Oliver, which will take place at Dormston Mill Theatre next February. The event will be the first production from Phoenix Theatre, a new Wolverhampton-based company that aims to produce high quality musical theatre productions. Phoenix Theatre embraces all theatrical talent, from set-building to stage performers and is looking to recruit an array of people to become part of its exciting new team. Company auditions will take place on Wednesday, 8th May, and producer Jan Cole and Choreographer Lindsey Grant will be looking for ensemble, dancers and children to star in this new and exciting production. 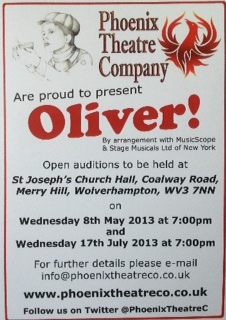 Phoenix is proud to announce that Oliver! will be performed at the Dormston Mill Theatre, Sedgley, from Tuesda,y 4th February 2014 until Saturday 8th February 2014. The walls of Sedgley’s Dormston Mill Theatre will be shaking tonight with the sounds of some of the region’s most promising musical talent. However, rather than this event being organised by teachers at the school, it’s all thanks to the hard work of 12 business students, who have orchestrated the Battle of the Bands concert right from the outset. “As part of our studies, we had to set up our business, Epic Events, in order to learn how to organise events and ultimately, put on tonight’s show,” explains Alex Baugh, 16, who, together with other 15-year-old students has put a massive amount of effort over the last two months into making sure things run smoothly on the night. Bands playing tonight include two whose members all attend Dormston School, 80s-influenced Kixxer and Uncensored. The others, Crossfire, The Fading Lights, Rescue Party, The Upper Hand, Vague Process, Everyday Hero and hip hop act, Young & Reckless, all attend schools elsewhere in the Black Country. The winners of tonight’s event, which begins at 7.30pm, will go through to a regional final to be held at Dormston Mill Theatre next Friday, September 30. If they succeed there, the winning group will then progress to a national final to be held at the o2 Arena in London on Tuesday, October 25. 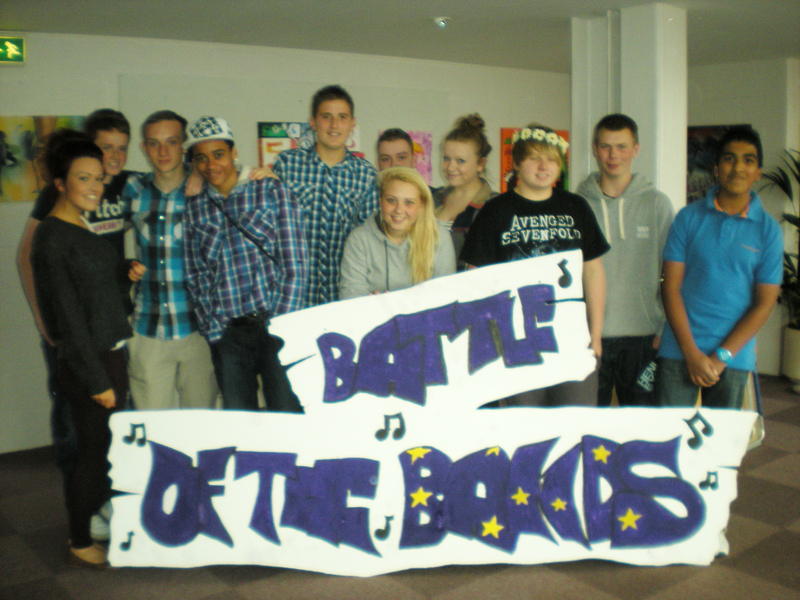 The Battle of the Bands event is part of a programme organised by registered charity Blastbeat, which offers an award-winning, fun and exciting, music and multimedia business programme to teenagers around the country to teach social entrepreneurial skills, promote young musicians, and support youth communities on a local and national level. Visit their website or visit the Epic Events Battle of the Bands Facebook page for more information.